If you need immediate carpet cleaning, don't hesitate to ask! The specialists of Carpet Cleaning Buena Park are experienced and provide same day residential and commercial carpet cleaning services. We are quick, yet methodical and the best in California for stain removal. We use the best, green products and make sure we leave behind us a clean environment. Reach out for our services whether you have a carpet water damage emergency or need to schedule carpet maintenance. We do a fabulous work with couches and know how to clean all fabrics and all fibers of rugs. We are experts in Persian rugs and have the facilities to support fire damage restoration. Check out our website and pick the service it suits your needs! If you want the best commercial tile cleaning, rely on the exceptional services of carpet cleaning. We also offer great residential carpet cleaning and excel in upholstery steam clean service. Our company owns the most high tech machinery in California for efficient services. 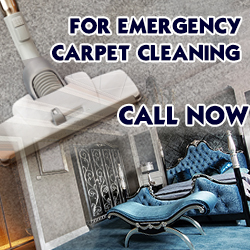 Excellent rug, upholstery services by the best carpet cleaning experts.